Two office leaders have spotty records themselves: a college dropout with arrests for drunken driving and bad checks and a lance corporal in the Marine Corps reserves with arrests for assault, disorderly conduct, fleeing an officer and underage drinking. 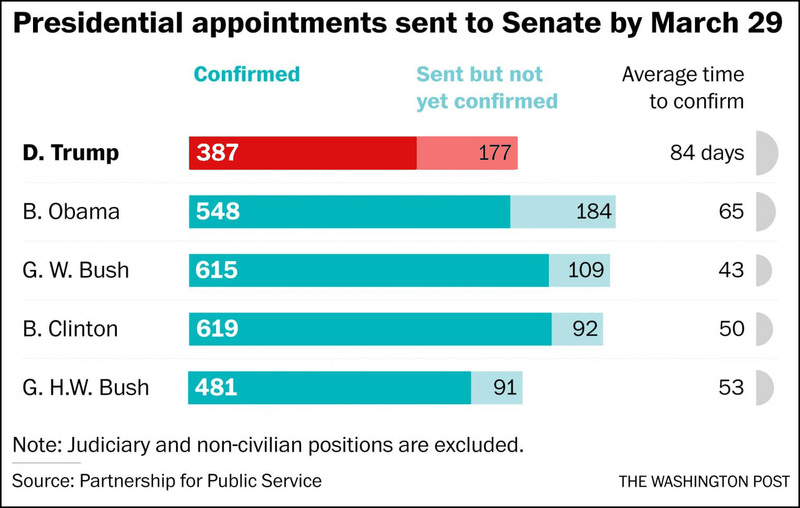 ….Under President Trump, the office was launched with far fewer people than in prior administrations. It has served as a refuge for young campaign workers, a stopover for senior officials on their way to other posts and a source of jobs for friends and family, a Washington Post investigation found. One senior staffer has had four relatives receive appointments through the office….Even as the demands to fill government mounted, the PPO offices on the first floor of the Eisenhower Executive Office Building became something of a social hub, where young staffers from throughout the administration stopped by to hang out on couches and smoke electronic cigarettes, known as vaping, current and former White House officials said. One of the newcomers was a former Trump campaign worker named Caroline Wiles. Wiles, then 30, is the daughter of Susan Wiles, a prominent lobbyist and political operative in Florida….The younger Wiles has an unusual background for a senior White House official. On a résumé she submitted to the state of Florida she said she had completed course work at Flagler College in Florida. On her LinkedIn page, she says she simply lists Flagler under education. A Flagler spokesman said she never finished her degree. “She did not continue her enrollment or graduate from here,” said spokesman Brian Thompson. Wiles has had a string of political jobs, including work at her mother’s lobbying firm and as a campaign aide for candidates her mother advised, including Florida Gov. Rick Scott and Donald Trump. She also worked for an education organization that helped provide health care to needy students. Over the years, she has had multiple encounters with police. In 2005, she had her driver’s license suspended for driving while intoxicated, police records show. In 2007, she was arrested for driving while intoxicated and arrested for passing a “worthless check.” She was found guilty of a misdemeanor for driving under the influence. The charge related to the bad check was dropped in a plea agreement. Bygones. What’s important is helping out the daughter of a powerful Flordia lobbyist. We all deserve second chances on the taxpayer’s dime, right?